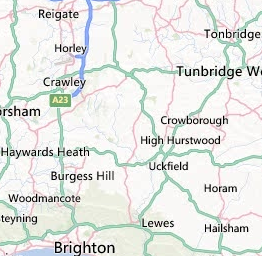 We are a fuel draining company operating mobile teams all over West Sussex. We are able to help you if you mistakenly filled up your car with the wrong type of fuel and you are stuck on the side of the read. Our mobile fuel draining units are equipped with all the necessary equipment so not only we’ll get you back on the road in less than an hour, but there also won’t be any expensive repairs involved. We manage to successfully get back on the road 99% of the people stuck on the road, so you can’t go wrong with calling us. Fuel draining in Worthing: Returning home from the office, a man driving a VW Golf stopped to refuel his car at the Murco Petrol Station on Sompting Avenue. Mistakenly he used petrol instead of diesel and his car stopped working on Mill Road. Our team got there in less than 20 minutes and managed to get the car fixed in less than an hour. Fuel draining in Chicester: The owner of a VW Polo mistakenly filled his car with the wrong type of fuel at the Sainsbury’s Petrol Station on Westhampnett Road and found himself stuck on the side of the road on Bognor Road later. Our team responded immediately and managed to get the car running again within the hour. Fuel draiuning in Crawley: An older couple were driving in their Renault Clio when they stopped for a re fill at the BP Petrol Station on Ashdown Drive. Unfortunately, they used the wrong fuel causing the car to break down on Crawley Avenue shortly after. Luckily, our team was very close and managed to help them immediately and get them on the road in less than an hour. Fuel draining in Little Hampton: Refilling her BMW 3-Series from the Shell Petrol Station on Rustington Bypass, a young office worker used the wrong fuel and not long after, the car broke down on Pier Road. Fortunately, our team was nearby and managed to assist her quickly and get her car back on the road in less than an hour. Fuel draining in Bognor Regis: The driver of a Mini Cooper stopped to refill his car at the Murco Petrol Station on Rose Green, but mistakenly filled it with diesel instead of petrol and not long after, the car broke down on Sefter Road. Our mobile fuel draining unit arrived at the scene shortly and they were able to get the car on the road in less than an hour. Fuel draining in Horsham: An office worker returning home stopped for a refill at the Sainsbury’s Petrol Station on Worthing Road with his BMW 5-series. Mistakenly, he used the wrong fuel and realized it when the car broke down on Rusper Road. Our team arrived at the scene immediately and fixed the car within the hour.